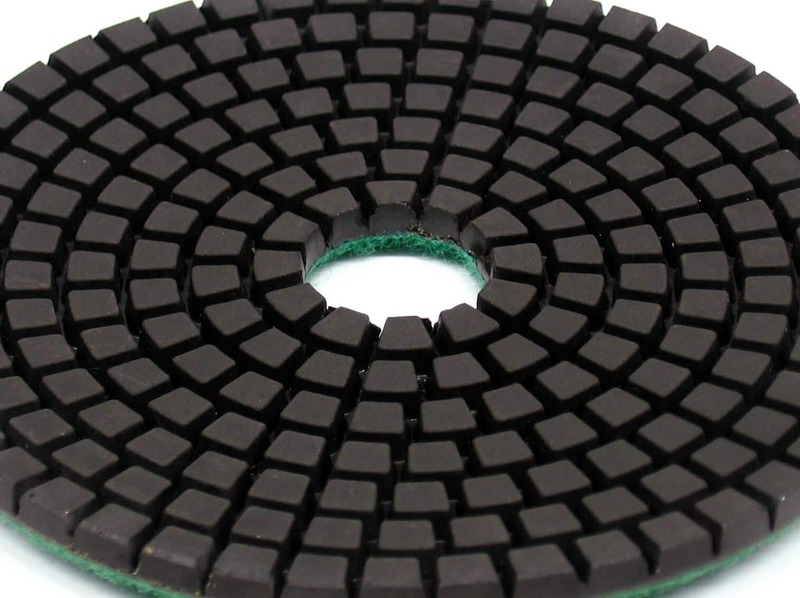 Exceptional high quality resin bond polishing discs, constructed with a 3mm thick double concentration diamond layer. 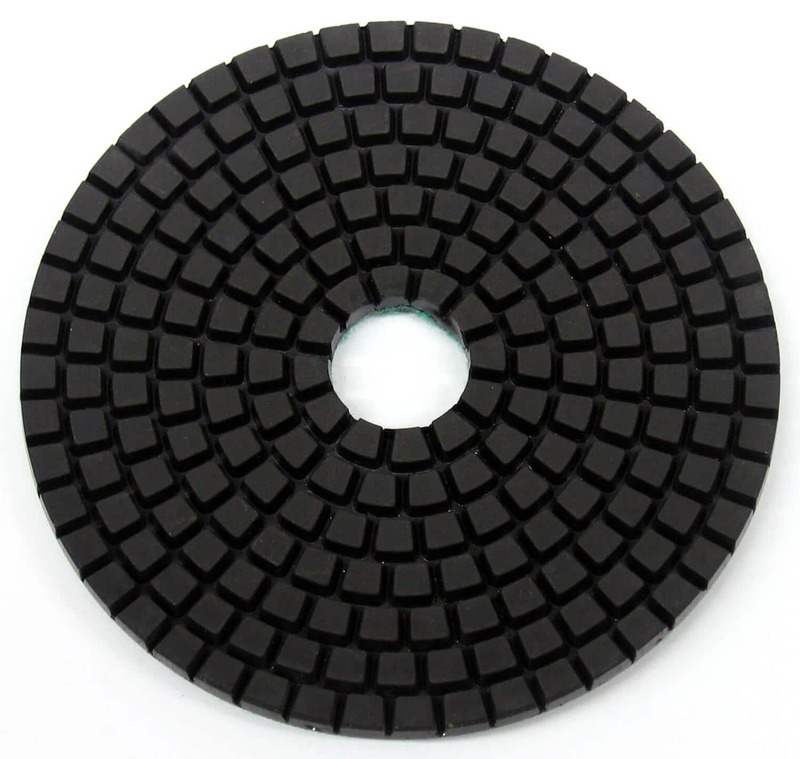 WX2 discs can be used wet or dry for edge or face polishing on granite, hard marbles and quartz/engineered stone (wet only). 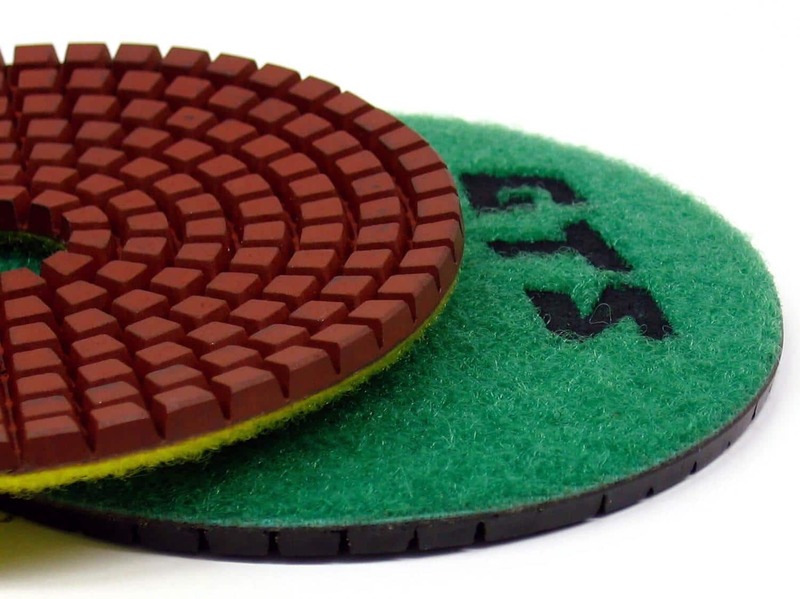 Available in 50, 100, 200, 400, 800, 1500, 3000 and Black Buff grit, 100mm diameter with QRS/Velcro backing.